Long time no see. Happy Holi 2010. I was glad to see the phrase “the relatively neglected subject of the micro-foundations of macroeconomic policy” mentioned in Chapter 2 of your document for the GoI a few days ago. But I am unable to see what you could mean by it because your chapter seems devoid of any reference or allusion to the vast discussion over decades of the subject known as the “microeconomic foundations of macroeconomics”. 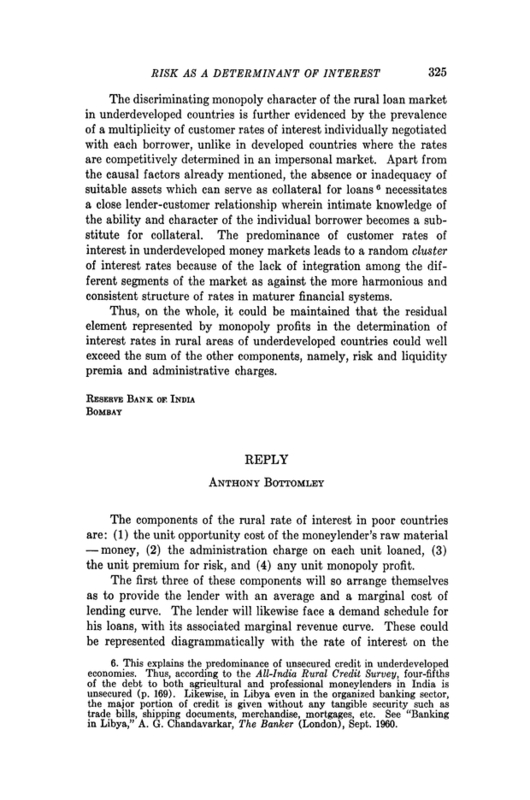 Namely, the attempt to integrate the theory of value (microeconomics) with the theory of money (macroeconomics); or alternatively, the attempt to comprehend aggregate variables like Consumption, Savings, Investment, the Demand for & Supply of Money etc in conceptual terms rooted in theories of constrained optimization by masses of individual people. In the Indian case, I tried to do a little in my Cambridge PhD thesis thirty years ago: “a full frontal assault from the point of view of microeconomic theory on the ‘development planning’ to which everyone routinely declared their fidelity, from New Delhi’s bureaucrats and Oxford’s ‘development’ school to McNamara’s World Bank with its Indian staffers”. Frank Hahn was very kind to say he thought my “critique of Development Economics was powerful not only on methodological but also on economic theory grounds”. Some of the results appeared in my December 1982 talk to the AEA’s NYC meetings “Economic Theory & Development Economics” (World Development 1983), and in my 1984 monograph with London’s IEA. Dr Manmohan Singh received a copy of the latter work in 1986, as well as, in 1993, a published copy of a work presented to Rajiv Gandhi in 1990, Foundations of India’s Political Economy: Towards an Agenda for the 1990s. I am glad to see from your Chapter 2 that the GoI now seems to agree with what I had said in 1984 of the need for systems that “locally include direct subsidies to those (whether in rural or urban areas) who are unable to provide any income for themselves…” Your material on the “enabling State” would also find much support in what I said there about the functions of civil government and the need for better, not necessarily more, government. On the other hand, your reliance on the very expensive (Rs.19 billion this year!) Nandan Nilekani Numbering idea is odd as there seem to me to be insurmountable “incentive-compatibility” problems with that project no matter how much gets spent on it. These together outline an idea that the link between macroeconomic policy in India and individual microeconomic budgets of our one billion citizens arises via the “Government Budget Constraint”. More specifically, the continual deficit-finance indulged in by the GoI for decades has been paid for by invisible taxation of nominal assets, causing the general money-price of real goods and services to rise. I.e., the GoI’s wild deficit spending over the decades has been paid for by debauching money through inflation. India cannot be a major economy of the world until and unless the Rupee some day becomes a hard currency — for the first time in many decades, indeed perhaps for the first time since the start of fiat money. 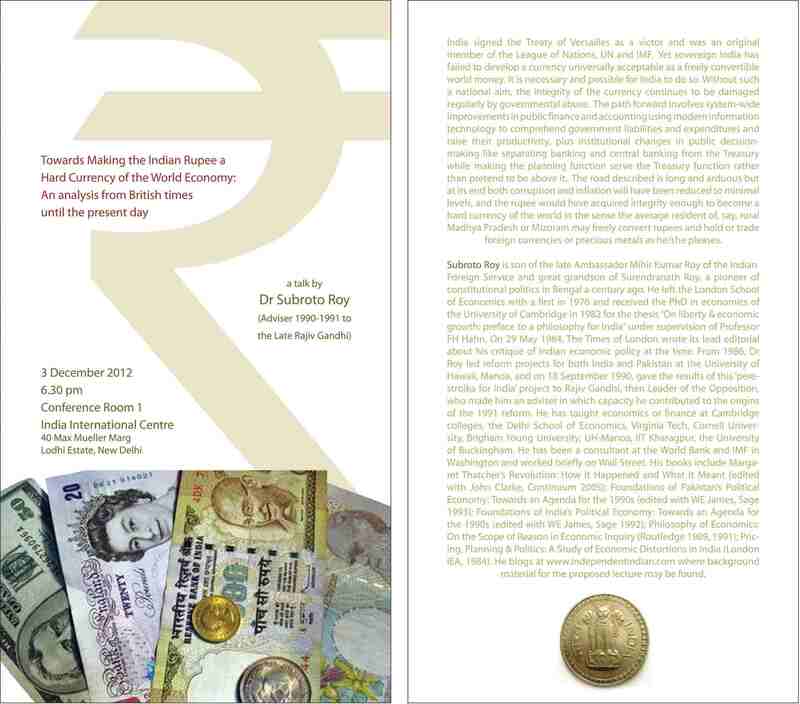 It is going to take much more than the GoI inventing a trading symbol for the Rupee! 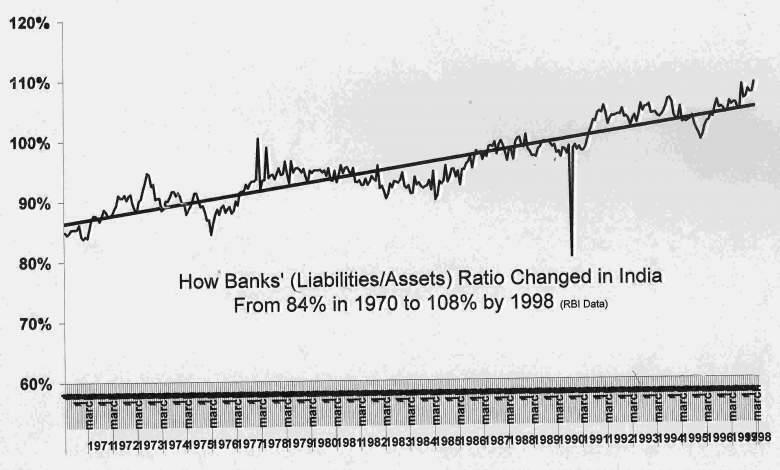 The appalling state of our government accounting, public finance and monetary policy, caused by the GoI over decades, disallows this from happening any time soon as domestic bank assets (mostly GoI debt, and mostly held by government banks) would inevitably be re-evaluated at world prices foreshadowing a monetary crisis. Perhaps you will help slow the rot — I trust you will not add to it.